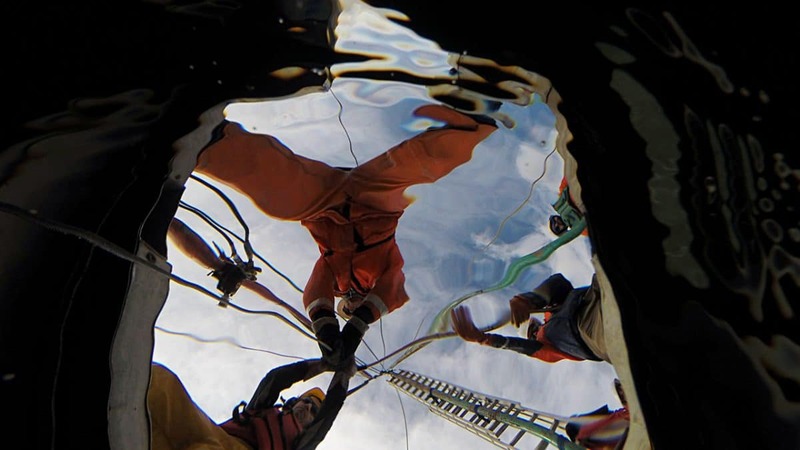 It took eight people to push a tall metal A-frame for coring operations into place on the deck of the coring vessel. 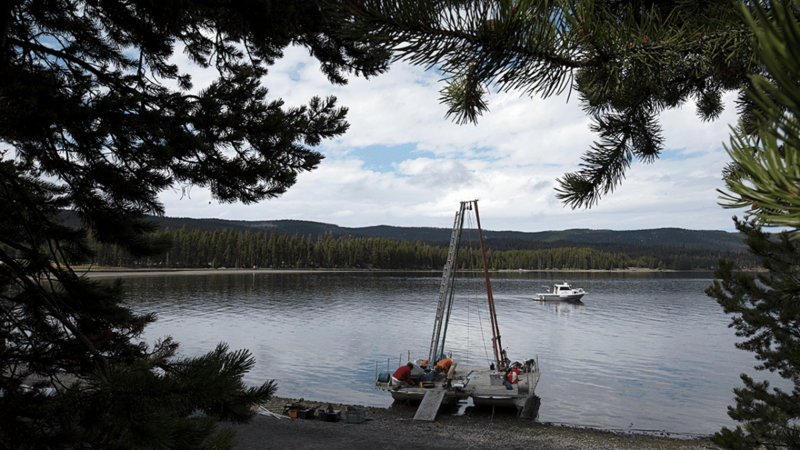 The team took cores at six sites with different geological features in Yellowstone Lake to give them an unprecedented look at the postglacial geological history of the lake region, including the processes that form large hydrothermal explosion craters. 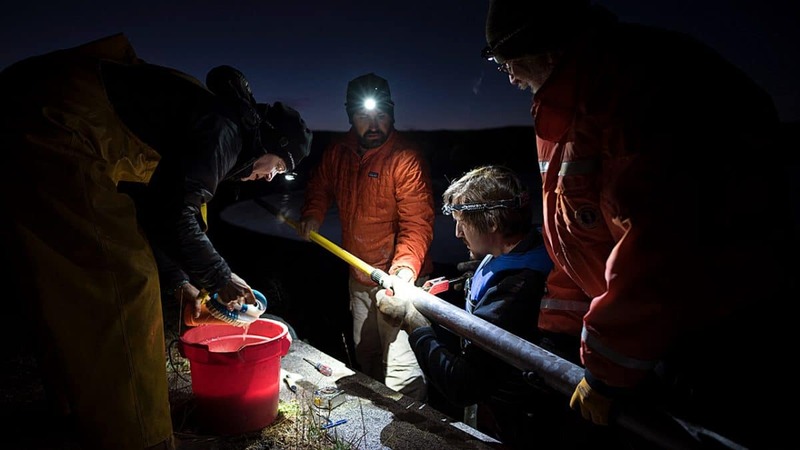 The spark that ignited the fiery volcanic heart of Yellowstone National Park began more than 30 million years ago. Two of Earth’s colossal continental plates, centered over what is now the American West, began drifting apart. They stretched Earth’s crust in an east-west direction, forming long north-south mountain ranges with wide basins in between. Some 14 million years later, a magma chamber formed beneath this thin area of crust. It sent plumes of magma surging toward the surface, kicking off a series of mammoth volcanic eruptions. 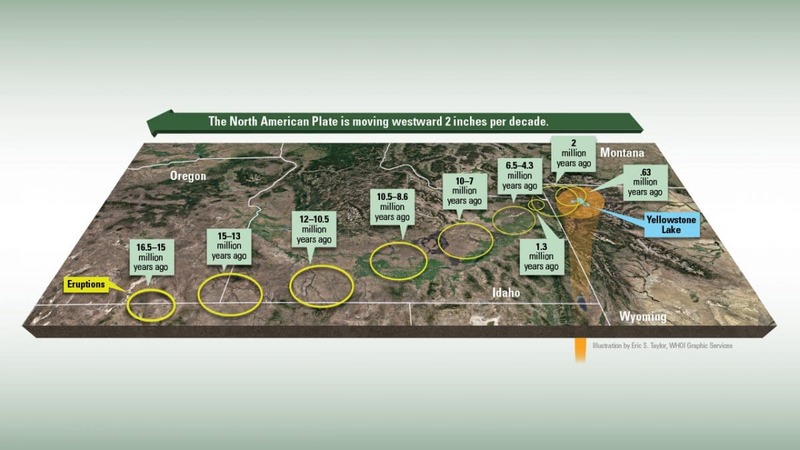 These eruptions left a trail along the Snake River Plain as the North American Plate moved westward over the hot spot, at the rate of slightly less than two inches per decade. About 2.1 million years ago, the area that is now Yellowstone moved over this magma chamber and was rocked by a massive volcanic eruption. The blast spewed volcanic ash and gas into the atmosphere and caused the ground above to collapse into a mammoth bowl called a caldera. As the plate continued to drift, smaller eruptions occurred 1.3 million and 640,000 years ago, forming two more calderas. 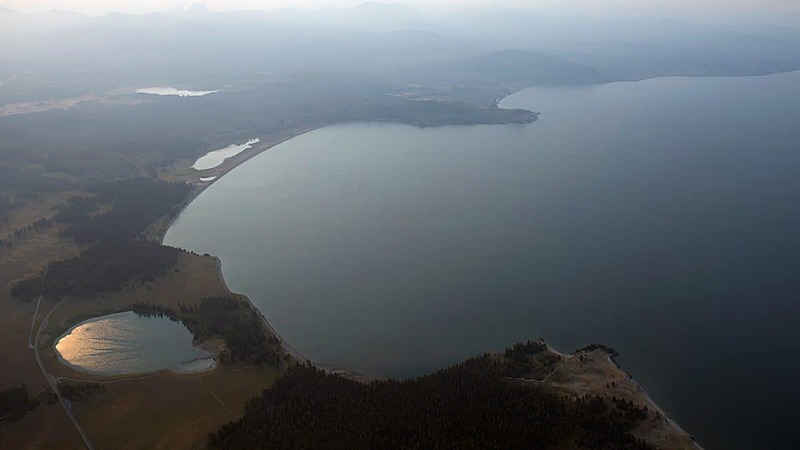 The third eruption created what is known today as the Yellowstone Caldera, which stretches over a 30-by-45-mile oval in the park that includes the northern half of Yellowstone Lake. More than three million tourists who annually visit Yellowstone can see the area’s steaming fissures, bubbling mud pots, and explosive geysers from many roadside stops. 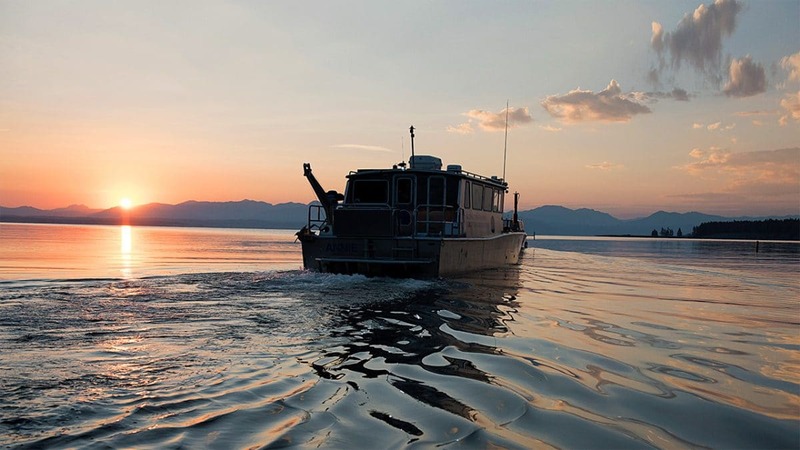 But beneath the surface of Yellowstone Lake, hidden from view, is a fount of volcanic activity. 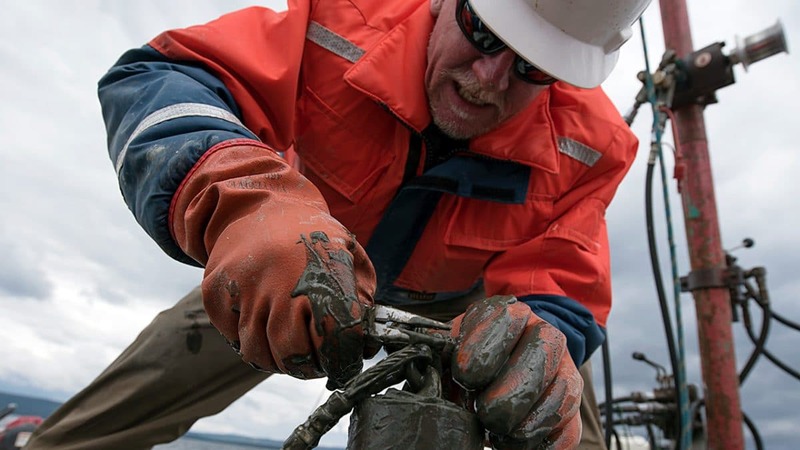 It heats fluids that rise and spew in hydrothermal vents on the lake floor. 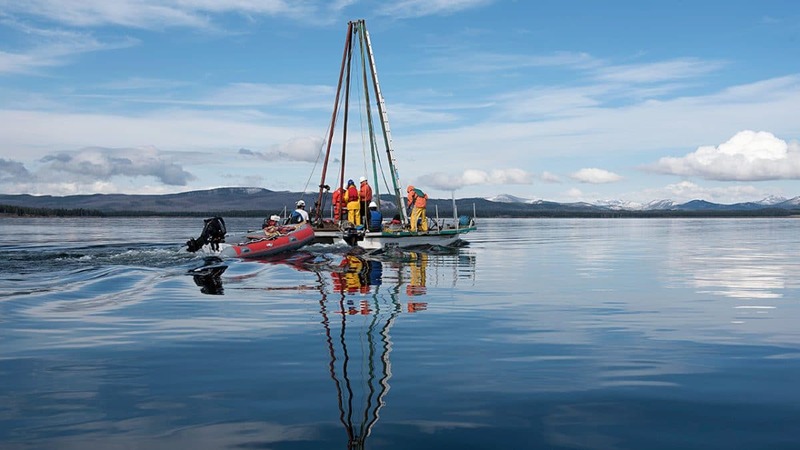 The northern part of the lake hosts the largest known hydrothermal explosion craters in the world. 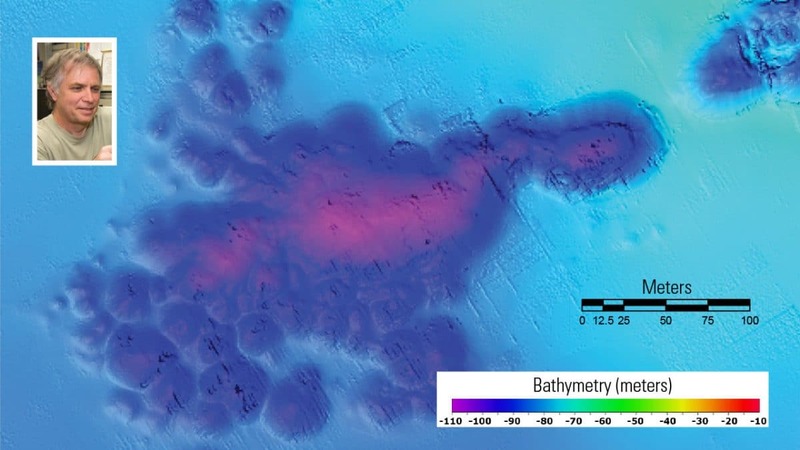 These are generated when pressure in the hydrothermal circulation system suddenly drops, causing catastrophic steam explosions that can excavate craters more than a mile in diameter. 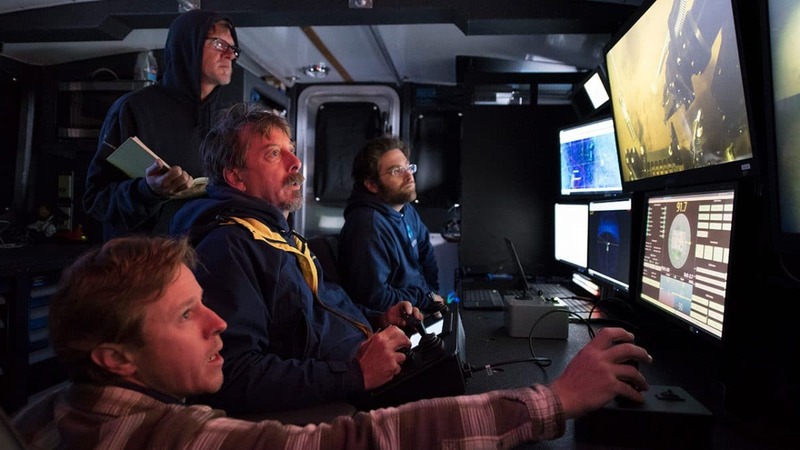 Enter WHOI geophysicist Rob Sohn, who has spent his career studying hydrothermal vents that typically form over magma chambers beneath the seafloor. 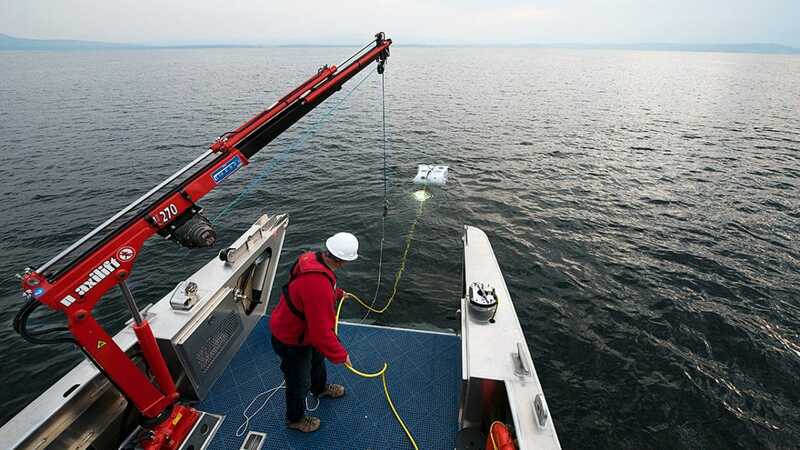 Sohn saw an opportunity to investigate what is happening at the bottom of Yellowstone Lake, using technology normally used in the deep ocean. 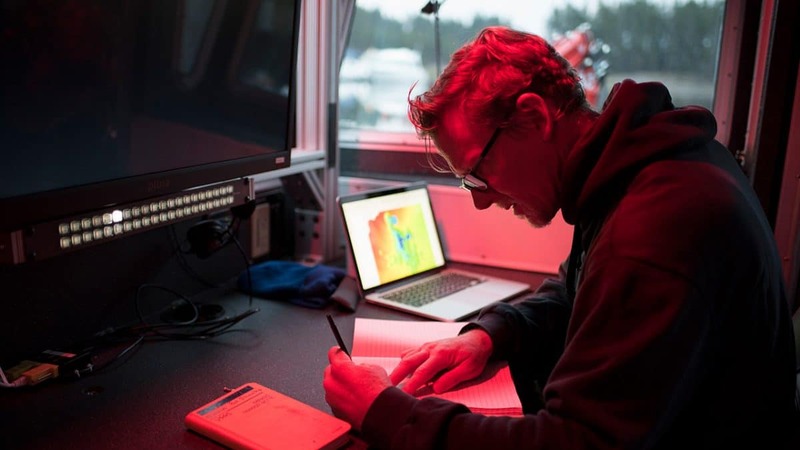 He joined experts in Yellowstone volcanology and geology with scientists who study deep-sea hydrothermal systems for the Hydrothermal Dynamics of Yellowstone Lake project. 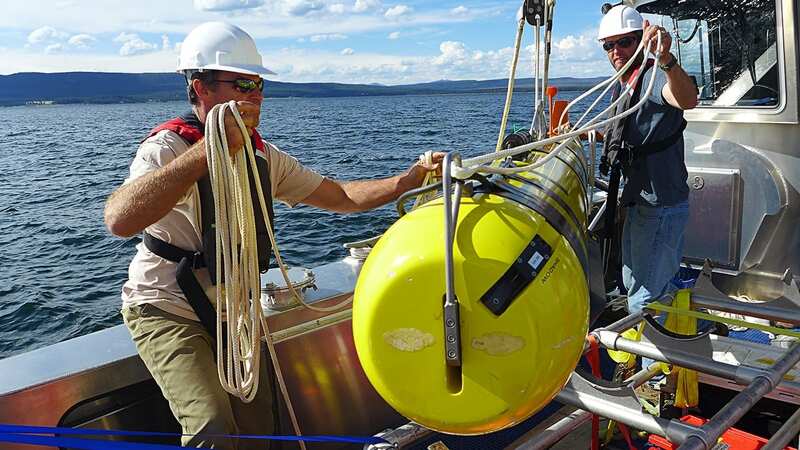 In July 2016, the HD-YLAKE team began its multiyear project on Yellowstone Lake. 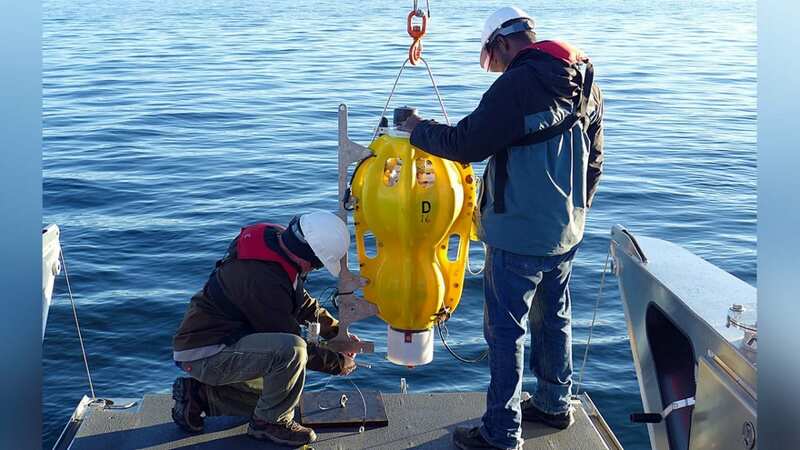 It deployed underwater instruments to monitor heat and motion on the lake floor and collected samples with a newly developed remotely operated underwater vehicle. 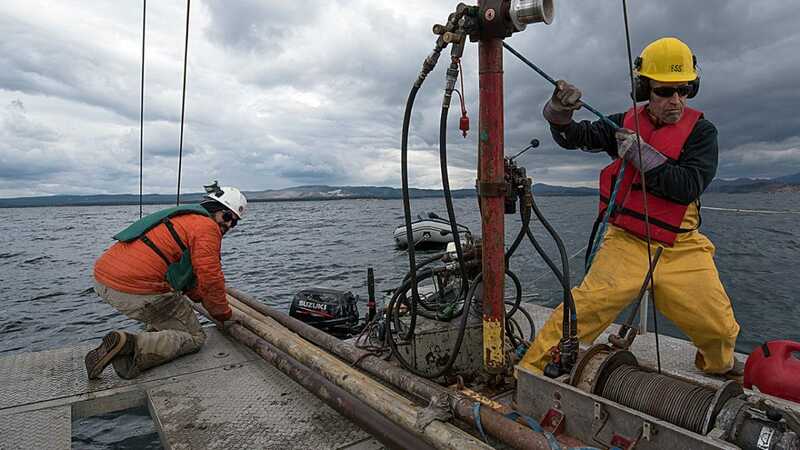 The team also extracted a series of long cores of sediments from the lake floor, which hold clues to past events in the lake’s geologic and climate history. 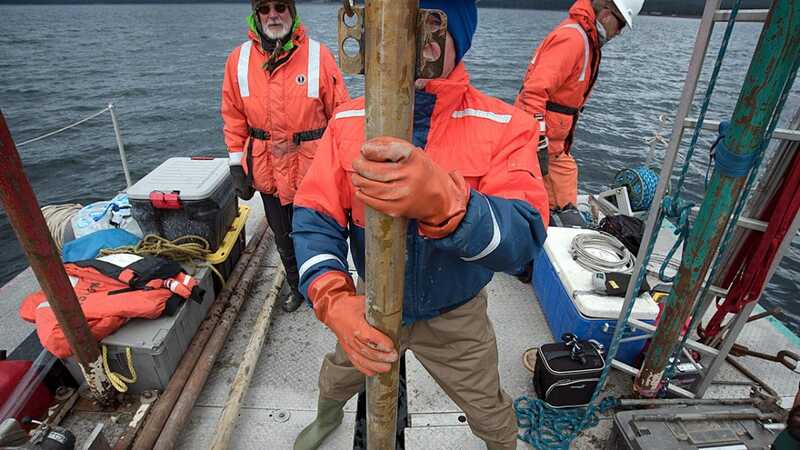 Some cores were nearly 40 feet long, digging into deeper sediments that extend further back in time—up to 15,000 years ago, when glaciers were beginning to recede from Yellowstone. 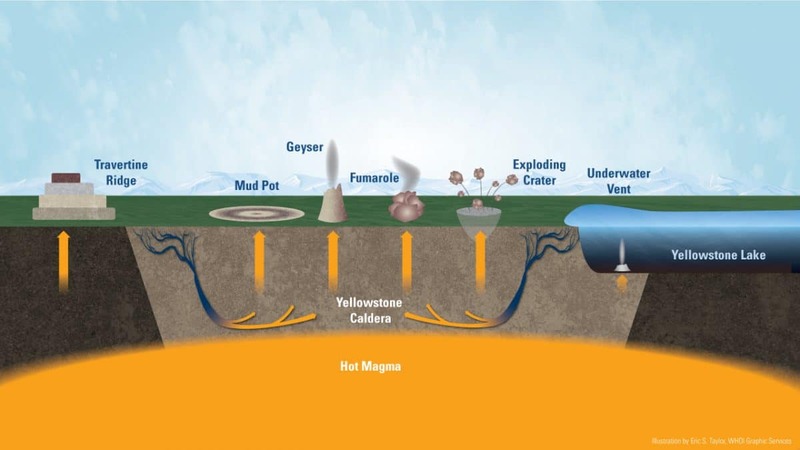 This research was supported by the National Science Foundation and the U.S. Geological Survey’s Yellowstone Volcano Observatory. 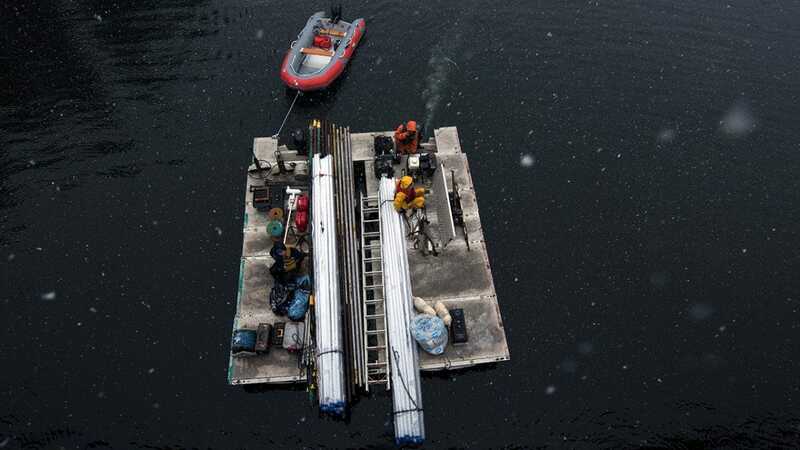 Work was completed under an authortized Yellowstone Research Permit. afouadfou dfouygef aouygdasf afouyg aouygfai fouyasdgf aouygf ouygfd aofpiugfa faouygfa pfiaugdsfpi adsgoiufga dspfig. afouadfou dfouygef aouygdasf afouyg aouygfai fouyasdgf aouygf ouygfd aofpiugfa faouygfa pfiaugdsfpi adsgoiufga dspfig. afouadfou dfouygef aouygdasf afouyg aouygfai fouyasdgf aouygf ouygfd aofpiugfa faouygfa pfiaugdsfpi adsgoiufga dspfig. afouadfou dfouygef aouygdasf afouyg aouygfai fouyasdgf aouygf ouygfd aofpiugfa faouygfa pfiaugdsfpi adsgoiufga dspfig. afouadfou dfouygef aouygdasf afouyg aouygfai fouyasdgf aouygf ouygfd aofpiugfa faouygfa pfiaugdsfpi adsgoiufga dspfig. afouadfou dfouygef aouygdasf afouyg aouygfai fouyasdgf aouygf ouygfd aofpiugfa faouygfa pfiaugdsfpi adsgoiufga dspfig. afouadfou dfouygef aouygdasf afouyg aouygfai fouyasdgf aouygf ouygfd aofpiugfa faouygfa pfiaugdsfpi adsgoiufga dspfig. afouadfou dfouygef aouygdasf afouyg aouygfai fouyasdgf aouygf ouygfd aofpiugfa faouygfa pfiaugdsfpi adsgoiufga dspfig. afouadfou dfouygef aouygdasf afouyg aouygfai fouyasdgf aouygf ouygfd aofpiugfa faouygfa pfiaugdsfpi adsgoiufga dspfig. afouadfou dfouygef aouygdasf afouyg aouygfai fouyasdgf aouygf ouygfd aofpiugfa faouygfa pfiaugdsfpi adsgoiufga dspfig. afouadfou dfouygef aouygdasf afouyg aouygfai fouyasdgf aouygf ouygfd aofpiugfa faouygfa pfiaugdsfpi adsgoiufga dspfig. test Some description text. Some description text. Some description text. Some description text. Some description text. Some description text. Some description text.